What the heck is the Lexar USB Format Tool? If your USB flash drive is causing you headaches, chances are you will want to hear about this tool. You may or may not know that Lexar is a manufacturer of USB thumb drives (flash drives), but I was informed by one of my valued newsletter subscribers that Lexar’s format tool often works with other brands of USB sticks as well. What Can The Lexar USB Format Tool Do For You? If you are having trouble with your USB flash drive, you should give it a whirl. There are many different things that can go wrong with a flash drive. The file system can get messed up by software, something can go wrong during a format, an electrostatic discharge can wreak havoc etc. Basically, you can't compare apples to apple sauce. Your situation may be different. I’m not saying that this tool will successfully solve your problem regardless of what the exact nature of your technical glitch is but hey, it’s free so why not give it a try? The download will result in a file called lexar_usb_format.zip on your hard drive. Right-click the file and select “Extract All”. The file extracting function will prompt you for a location put the extracted files. Make sure the box next to “Show extracted files when complete” is checked so you will immediately land in the right folder after extraction. Click the Extract button to continue. Now you’ll get an Explorer window with 3 files in it called BootIt.dat, BootIt.exe and readme.txt. Make sure that your USB flash drive is inserted into a USB port on your computer and then right-click the file BootIt.exe and select “Run as administrator”. 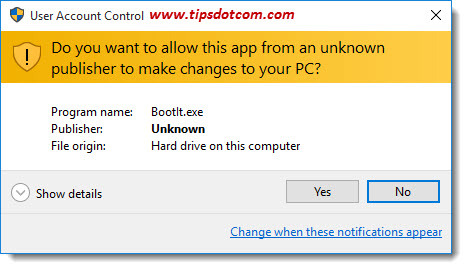 You’ll get a Windows user account control screen asking whether you want to allow the app to make changes to your PC. Next you will see the Lexar USB format starting screen. Warning: As the name of the tool suggests, using it will format your USB drive, deleting all files that are currently on it. Please only proceed if you’re absolutely sure that the contents of your USB drive can be deleted. You can optionally enter a system volume label for your USB drive and you have a few other options as well. 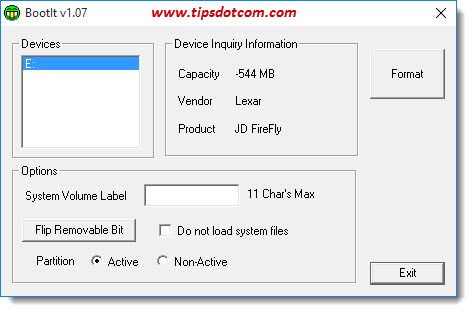 Flip Removable Bit: This is an option to make your computer think that your USB flash drive is a local hard drive rather than a removable USB stick. Normally you don’t need to do this for everyday USB drive usage. It is used by people who want to boot a Linux operating system from their flash drive or people who want to create partitions on their flash drive. I have written another article about flipping the removable bit on your flash drive with the Lexar BootIt tool. Partition Active or Non-Active: Allows you to make the partition on your USB flash drive Inactive. Again, for normal operation it’s best to leave this at the default setting. Do Not Load System Files: Check the checkbox next to “Do Not Load System Files” before formatting with the Lexar USB Format tool. You only need to load system files if you want to be able to boot from your USB drive. If you go ahead and press the format button in the tool, an extra warning message will appear to inform you that all data on the drive will be erased. I have been able to solve a number of different flash drive problems with this tool, and I can confirm that it will sometimes work with certain other brands than Lexar as well. 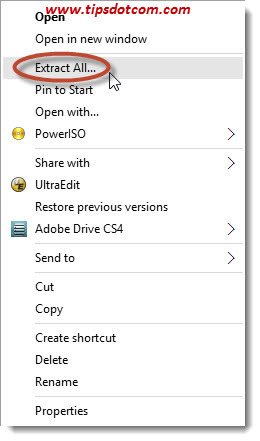 For instance, when I was dealing with a USB flash drive that threw a “Windows was unable to complete the format” error and that was unreadable in Windows Explorer, I managed to reanimate the flash drive with this tool. Please be advised though, that there are so many different brands and models of flash drives out there that your mileage may vary. My advice would be: if your drive has become unreadable and it seems lost anyway, give it a try with the Lexar USB Format tool before you decide that your USB drive has died. On the other hand: flash drives are pretty cheap. You can also replace the thing if it keeps causing issues. If something is really wrong with it, you can easily spend the better part of your day trying to fix it and that may just not be the best way to spend your time.